I also purchased the front plate bracket, in short it is O_U_T_S_T_A_N_D_I_N_G !!!!!! What do most guys get, the removable or the permanent? Here's a ttt for you Peter. I thought I'd post up my picture series for anyone that hadn't seen it. Removable - bracket/plate sitting in rear storage compartment - resting quietly just in case. 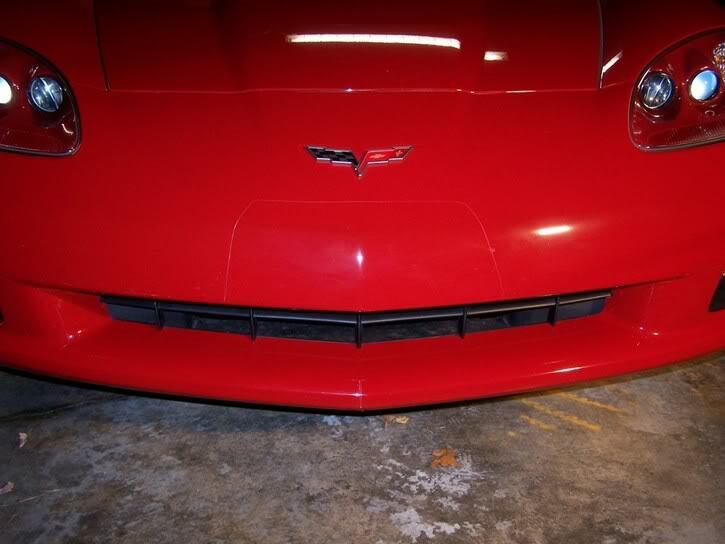 If you need a quality front plate holder with the service and backing of a top notch vendor, Top Flight is your answer. Great move! Thanks for supporting the Forum! Way to go! This is good news. I've been running with my removeable front bracket for almost a year now. (technically the 'prototype' you built) No problems and removing it is (obviously) quite easy. Many thanks for a fine product. great. Easy installation. 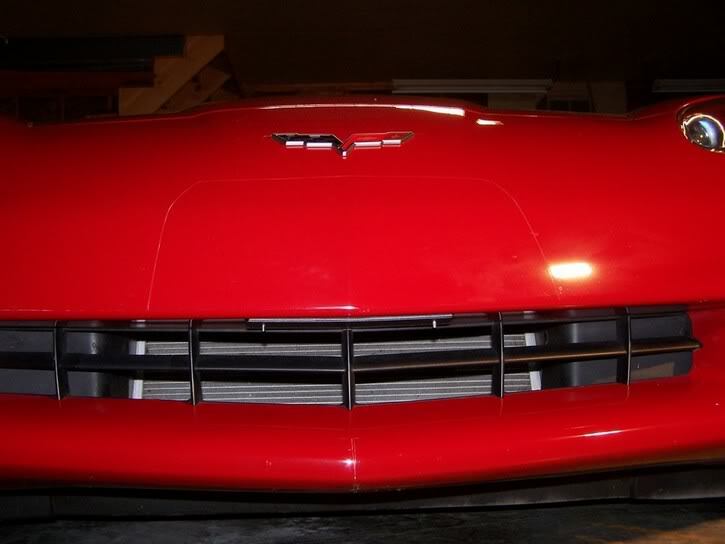 I like the way it is centered between the upper and lower lips of the front end. Looks pretty good. Of course the plate is sitting in the trunk right now, but just in case I get ticketed I'm ready. Glad to have you as forum vendor. Thank you Jeff, we enjoyed working with you and your inputs enhanced the product. Thank you Ed. That's the beauty of the removable bracket, just tuck it away and use it when you have to. Thank you for your buisness. Just installed the Top Flight removable plate mount and colored plate frame. Excellent product, easy installlation and it looks good. I imagine the license plate products will fit 2007s...is this correct? Thank you and it sounds like a great product. 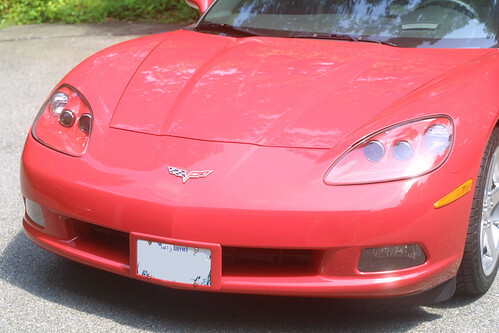 you know the only way i might be able to tolerate a front plate would be if I could have on that has a backward "Mov Rt" on it so the retards driving slow in the left lane see it and get out of my way! Yes, they fit the 2007 and thanks. So easy to install it only took this gal about 15 minutes. Looks great with the GM frame too!!! Really finishes off the look. For a state that requires 2 plates this is diffinately the way to go. 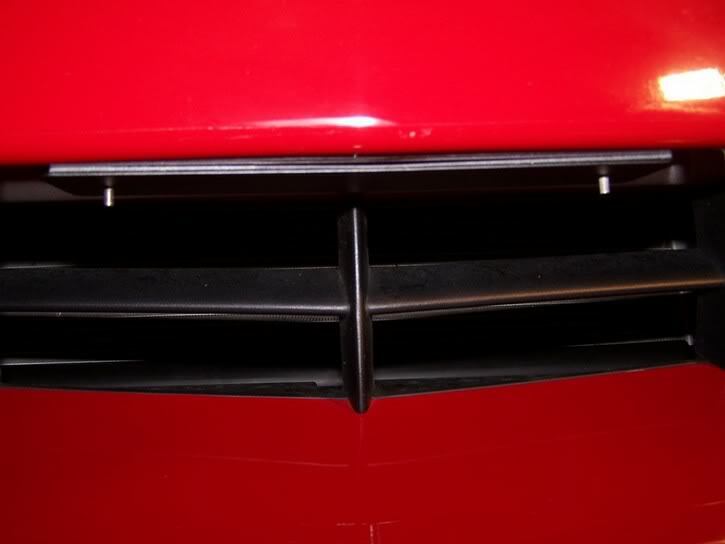 Just ordered one- from the pix shown here they look like the best alternative for those of us that gotta wear a front plate! Put it on the car in 90 degree heat, or go to Elkhart Lake for the BRIC Vintage races again today??? Maybe I'll put in on tommorow morning. Spoke with Ray Anthony over the phone....nice man and very helpful. 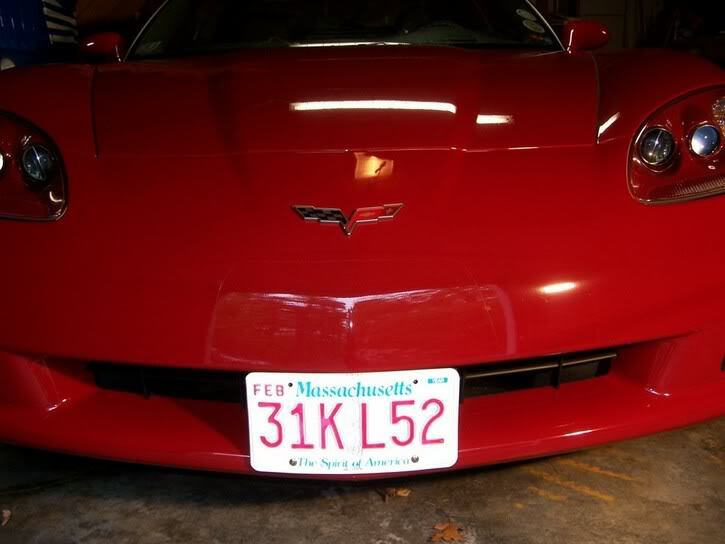 I bought a removable bracket and two Monterery Red license plate frames....one for the front and one for the rear.